Noted. | FineStationery.com: Let's Skate! If your little one's birthday falls within the winter months, you might be fretting over the thought of a house full of kids for their party... This winter, instead of inviting all of your child's friends to your home, invite them to the local skating rink for an ice skating party. Most rinks have spaces that are available for renting out, which means there is no mess in your home once the party is a wrap! 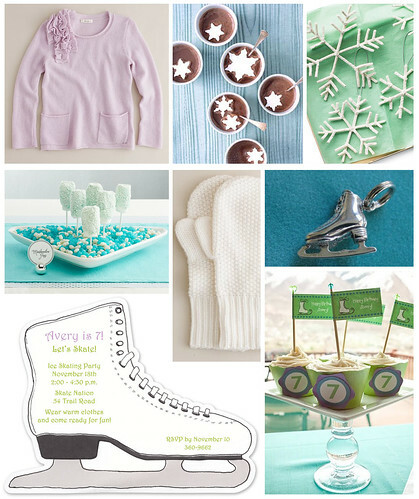 Your child's friends will love twirling around on the ice and sipping hot chocolate as the birthday girl unwraps gifts.